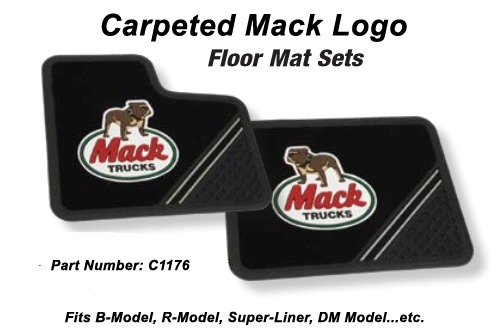 We have a limited supply of really nice, carpeted floor mat sets that feature the old Mack color logo! Special price is $120 per set! Ohhh, cool. Xmas presents to me? I'm right in line behind you. wonder if they fit a right hand drive R model ? Yes, just flip them over...........LOL! You two are pretty foony!